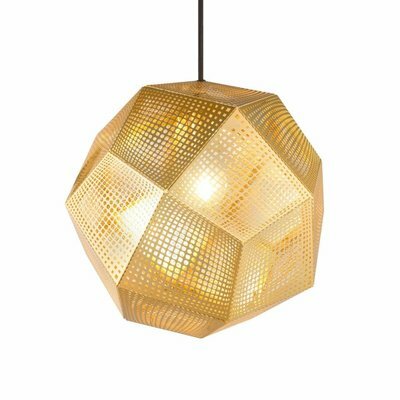 Tom Dixon Etch web brass the ultimate shadow play! A space filling shade made from photo-etched sheets of pure brass, designed to cast atmospheric angular shadows when lit. Another experiment by Tom Dixon to the long running exploration of mathematics and geometry, an irregular pentagon shape is repeated 60 times across the body to create a total sphere. Designed to add warmth and sophistication to the hallway, the hotel lobby or the dining room. A series of statement pendants made from acid-etched sheets of metal to create the intricate pattern. 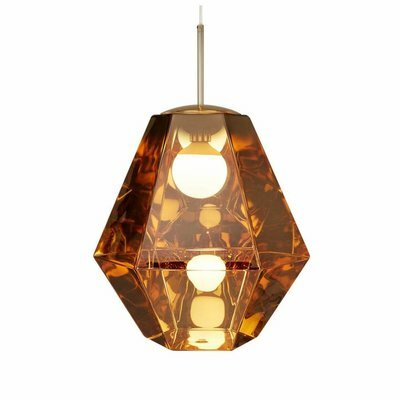 A halogen bulb is suspended within the centre of Etch Web to make it the ultimate shadow play pendant. ( included ).